These fees are based on Djamee Raphael's availability and interest. Please contact info@djamee.com Djamee Raphael's personal liaison at his contact desk if you are serious (1-4 months in advance notice required). includes 2 days personal coaching with Djamee Raphael. 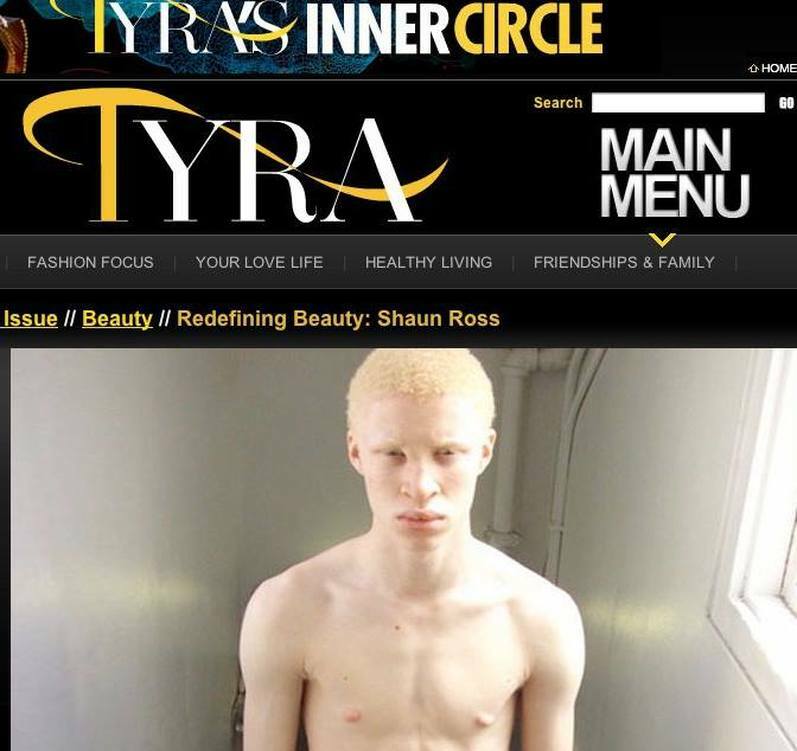 Shaun Ross World 1 st male albino model to ever work on the worldwide "Working Models" circuit. New York Times by Guy Trebay Sept 11 2008. Shaun Ross Will his Singularity lead To Pluralism? 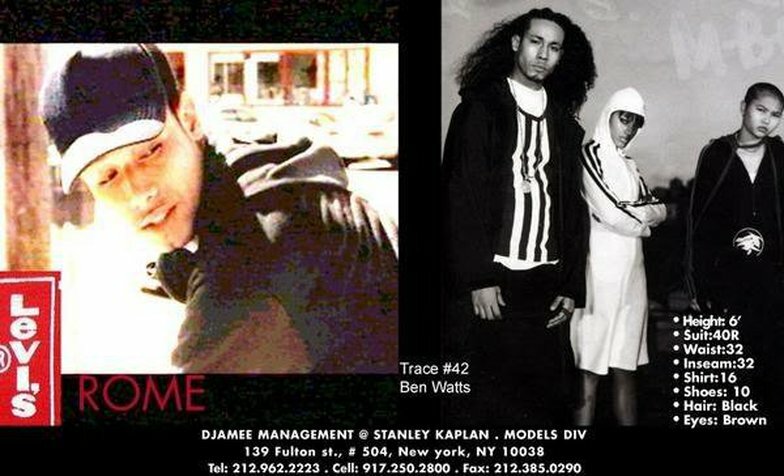 Rome is Djamee Management 1st model to be sent to Castings/ Auditions; here from left in a Levi's UK Asia France Canada campaign TV ad - right Trace magazine by Ben Watts feat Rome wearing Y3 first editorial; a worldwide exclusive. Leo singer actor aka "Techno Twin" AT&T National TV Commercial. Ghost Stories as "Young Marylin Manson"
full sponsorship to NYU SCE Business Management Marketing.